Poetry and non-fiction published in several Dutch literary, poetry and other magazines. Poem about dream and reality feverishly intermingling during an ordinary train commute. 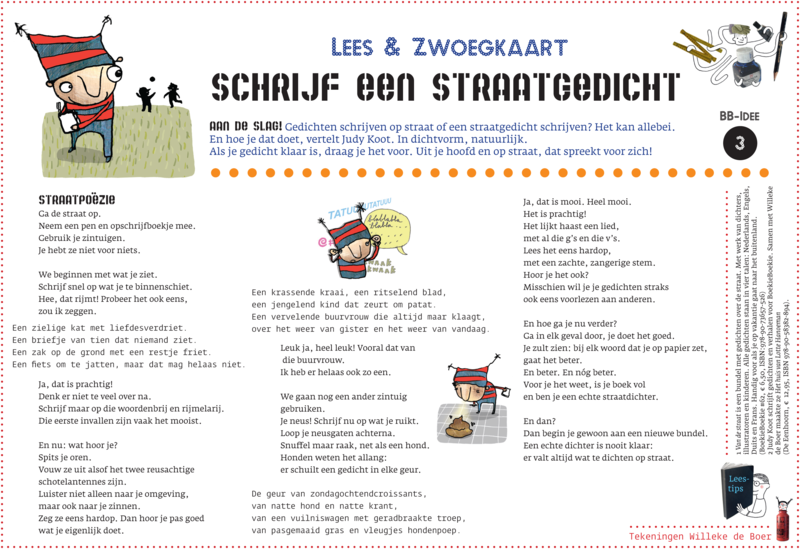 Non-fiction article for children about how to write street poetry using the five senses. Love poem about a mythical dream unfolding itself in reality. Winner of the ELLE Poetry Award 2002.